New car registrations could see a 4% decline in 2018 as the uncertainty surrounding Brexit negotiations and the spectre of further interest rate hikes weigh heavily on the market. 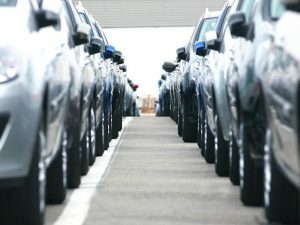 Market developments are seeing the used car sector become ‘king’, according to Glass’s. That’s the prediction from Glass’s in its Monthly Market Report for January. Looking to the first quarter, the car data specialist noted that monthly year-on-year contractions are expected to be more pronounced, given the higher base of registrations in the first quarter of 2017. The firm added that changes to VED rates will take effect from April and could have an effect of pulling demand forward from later in the year, as occurred in 2017, but the changes are less dramatic than in 2017, and so any impact is expected to be comparatively limited. The prediction follows Glass’s December forecast of a 5.7% decline in UK new car registrations for 2017; tying in exactly with the recent SMMT yearly registration figures. Next: Curtis Hutchinson: Service with a smile?